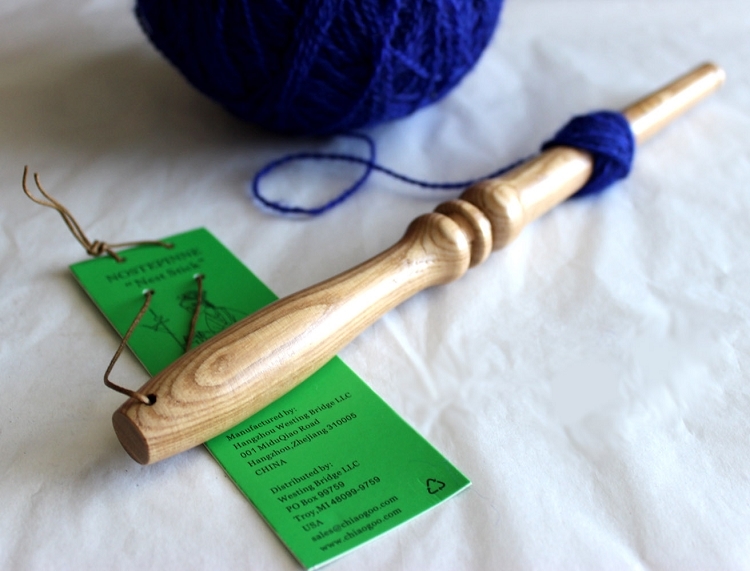 Stop using your thumb or broom stick to wind a center-pull ball of yarn! This nostepinne can do the job for you. The nostepinnes are approximately 11 inches long (definitely long enough to wind a large ball of worsted or even chunky yarn) and have a nice smooth finish, but not too smooth where the yarn will just slip around when starting your ball. They come with a loop through the handle to hang on a peg as well as directions. This is a beautiful tool. It's smooth and easy to use. It took me very little practice to get the hang of it and I prefer to use it over the winder for small amounts. 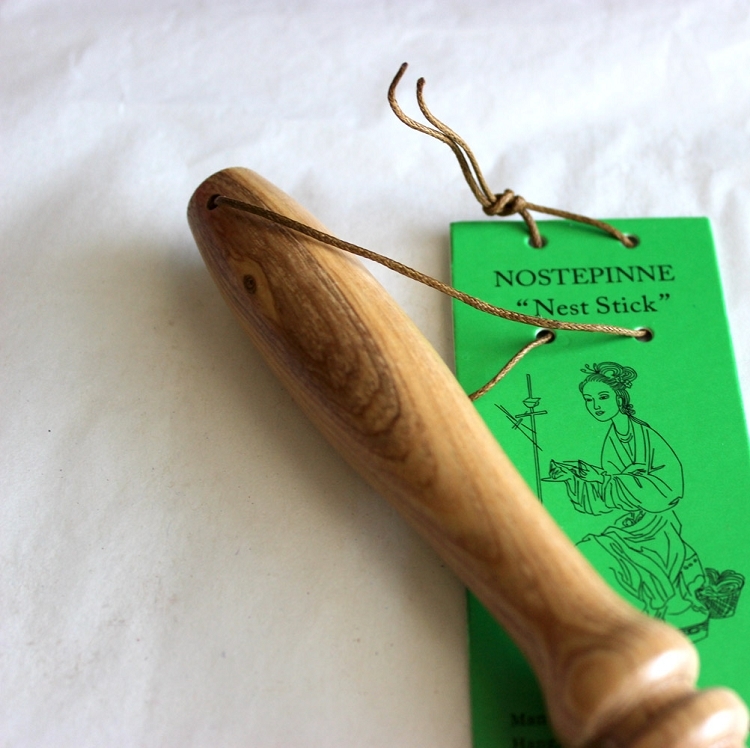 I'd been looking for a Nostepinne for quite sometime and had not been able to buy one locally. They are great for single ply off a drop spindle. Got it quickly and it's everything I'd hoped it would be. Seems simple but it's SO useful. Shipping was super fast! !